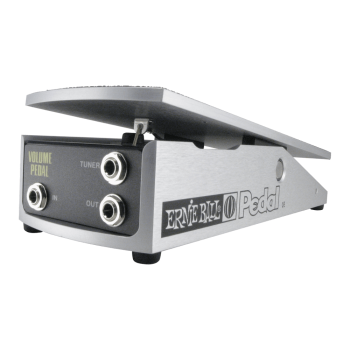 Ernie Ball's original full-size mono volume pedal features a super smooth foot sweep for precise volume control and is perfectly voiced for passive audio signals. Directly behind the input jack under the footplate is a micro taper switch which provides the user two distinct volume swell rates. The Ernie Ball VP 250k's rugged construction consists of a billet aluminum housing that is virtually indestructible.